This 15 minute chili recipe is a favorite in our house. 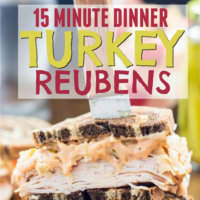 Super simple preparation, cheap ingredients, and dinners on the table in 15 minutes. This is the way that dinner should be. 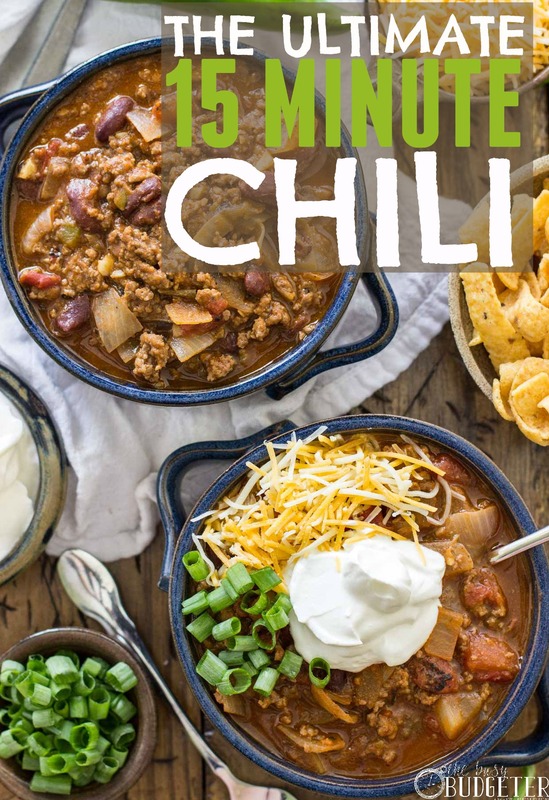 The Ultimate 15 Minute Chili. 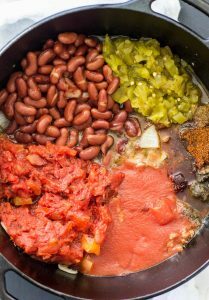 A quick and easy 15 Minute chili recipe that can be on the table before the kids start whining! I'm sure you noticed that it’s starting to get a little bit cooler outside. The leaves are beginning to change, the air is nice and crisp, and while some of you may refer to this time of year as “sweater weather” or rejoice over “pumpkin spice season” I prefer to think of it as “chili weather”! This fast chili recipe is perfect for a quick and easy dinner. While I love a chili that’s simmered on the stove all day as much as the next person, I don’t always have 8 hours to devote to my dinner. That’s why I love this 15 minute chili recipe so much. 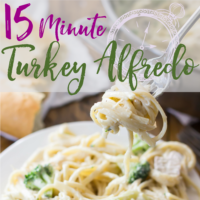 It uses inexpensive ingredients and needs to simmer for just 15 minutes! 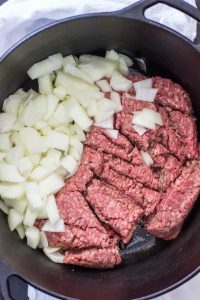 I usually buy a pound of inexpensive ground beef for less than $5, then between that and the onion, tomatoes, chilies and beans (I don’t count the spices because I already have them all in my pantry, and I bet you do, too!). I can have a meal that serves 6 for under ten bucks! Can’t get that at a drive through! The first step is easy-peasy. 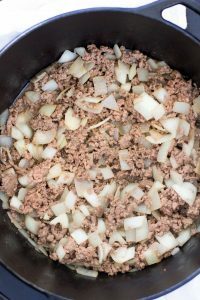 Combine your diced onion and ground beef in a large pot and cook over medium heat! Cook until your ground beef is browned and your onions are translucent. Drain off any excess grease. If you’re using real minced garlic, here is the time when you’ll add it. I really recommend using garlic cloves if you can, it’s a great, easy way to add extra flavor to a quick meal! If you’re not using cloves of garlic, that’s fine too, though! Just skip this step and add 1 teaspoon of garlic powder along with the rest of the ingredients (the recipe at the bottom of the post explains!). Here we go — all of the ingredients together at last! Stir them up well and bring everything to a boil. Make sure you stir frequently so nothing burns to the bottom of the pan. Once everything is boiling, let it continue to bubble for about a minute or so, and then reduce the heat to a simmer and let it cook at least 15 minutes (stirring occasionally) before serving. As with any chili, the longer you let it sit, the better it is. 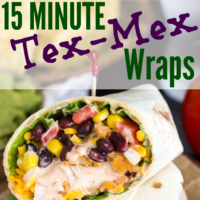 I like to give it a half hour usually but if you only have 15 minutes that’s fine! 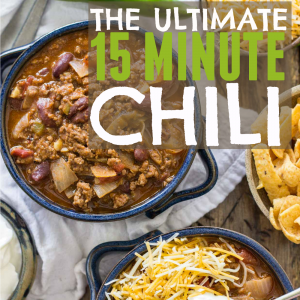 Make sure to stock up on your favorite 15 minute chili toppings! We like Fritos and sour cream, or sometimes just a nice loaf of soft Italian bread for sopping up the juices! This cheap and easy 15 minute chili is satisfying and hearty. Add garlic, if using, and cook until fragrant (about 30 seconds) - If you are using garlic powder, skip this step and add the garlic powder in with the rest of the spices below. Serve with preferred toppings (we like corn chips). 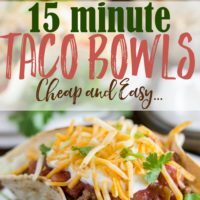 15 minute chili? That caught my eye and your recipe sounds delish! Thanks for linking up with us at #FoodieFriDIY – see you next week!